Two government ministers were today (Thursday, February 26) seeing for themselves the importance of Cheshire East’s life sciences sector. Greg Clark, science and universities minister and George Freeman, life sciences minister, visited the BioHub at Alderley Park and Mr Freeman also toured AstraZeneca’s Hurdsfield factory in Macclesfield. Worldwide demand for the innovative prostate cancer drug Zoladex means that the factory accounts for more than one per cent of total UK exports by value. Mr Clark and Mr Freeman were accompanied by Macclesfield MP David Rutley, who has been closely involved in plans to convert the former AstraZeneca research base at Alderley Park into a thriving business park for life science companies. Manchester Science Partnerships has acquired the 400 acre site and a draft development framework, drawn up by Cheshire East Council, is now out to public consultation. Councillor Michael Jones, leader of Cheshire East Council said: “It is exciting to see how Alderley Park is developing and it is great to see continued investment by AstraZeneca in the Hurdsfield site. “We hope this visit will give ministers, the local MP and the Council some insights into how they can support AstraZeneca’s commitment to Cheshire East and in particular the plans they are developing to create a European centre of excellence for packaging of pharmaceuticals at Hurdsfield. "It should not be forgotten that drugs packaging originally came to Macclesfield due to the dexterity of silk workers, who were used to dealing with small, precise instruments. Cheshire East substance misuse service welcomed over 40 members of the local community to publically launch the new service (24 February). Cheshire East Council appointed Cheshire and Wirral Partnership NHS Foundation Trust (CWP) as lead provider of the all-age service in November 2014. The new and integrated service is designed for people whose lives are affected by drug or alcohol issues. The open day was held at one of the Trust’s sites, Catherine House in Crewe, to show local people the types of support available and how people can access it. Service partners also provided interactive demonstrations to show people how to take better care of themselves as part of holistic recovery and wider health and well-being. Kat Chapman, a spokesperson at the event, spoke about her addiction to drugs along with Noel Baker who spoke about his issues with alcohol. Kat said: “Without the support of this service, I wouldn’t be here today. I began using cannabis, but then moved on to harder stuff. I didn’t realise I had a problem, I just thought I was doing a bit too much at the time, until I hit rock bottom and was close to losing everything. Councillor Janet Clowes, Cheshire East’s cabinet member in charge of care and health in the community said: “We are delighted to have CWP deliver the new service. The change in the service design means there will be a greater focus on prevention and early help support. The substance misuse service is open to people of all ages whose lives are affected by drug or alcohol issues. Referral is accepted from any source including self-referral and via a GP. Frontline staff and apprentices at Cheshire East Council are to get a welcome pay boost after a series of announcements made today (Thursday, February 26). Council leader Councillor Michael Jones told a meeting of Full Council that the authority is committing to the introduction of the Living Wage, which means that following a period of consultation, directly-employed Council staff at the lower end of the pay scale will earn a minimum of £7.85. This will be a big lift for staff such as general assistants and catering assistants. Cheshire East is to consult with partners, including schools, on the move during the coming year. In a double-whammy of good news, all apprentices employed by the authority are to receive pay rises thanks to a further funding commitment of £137,000. The new rates of pay will meet the national minimum apprenticeship pay rate for each age group. The Council currently employs more than 50 apprentices. Councillor Michael Jones said: “Our frontline staff work extremely hard for the taxpayer and they thoroughly deserve to be able to earn a fair wage which allows them to provide for themselves and their families. “We will soon be consulting on the Living Wage with our partners but it is entirely the right thing to do, as is looking after our young apprentices. The Living Wage is based on the amount a person needs to earn to cover the basic costs of living and is promoted by the Living Wage Foundation. An independent study found 75% of employees reported increases in work quality as a result of receiving the Living Wage. Meanwhile, Cllr Jones added: “We remain committed to ensuring we do not offer ‘zero-hours’ contracts, as they are often termed in the media. “The Council is a dynamic business which has a number of roles where flexibility is required. We therefore offer ‘permanent variable hours’ contracts on local Government terms and conditions. Councillor Barry Moran, Cabinet member in charge of performance, said: “We do not restrict any workers’ wish to work for other employers if they only work a few hours for Cheshire East Council. Cheshire East Council is to stop commissioning 15-minute home care visits. The move was announced by the authority’s leader, Councillor Michael Jones at a full council meeting today (Thursday, February 26). Charities and voluntary organisations concerned with older people have campaigned against 15-minute home visits, arguing that it is not long enough to provide proper adult social care. The change will take effect from April 1, 2015 for new service users. The council will also be working with existing service users to rearrange their care plans and ensure that domiciliary care providers have staff in place to provide longer visits. But 15-minute slots will still be available if service users ask for them – for example if they need help to make a cup of tea or take medication at a particular time of day. This would normally be offered in conjunction with longer visits as part of the service user’s care plan. Councillor Janet Clowes, Cheshire East’s Cabinet member in charge of care and health in the community, said: “There may be occasions when people want a 15-minute visit first thing each morning. But unless a service user requests it, we will not be commissioning care visits in 15-minute slots. Councillor Jones said: “These service improvements will require investment but we believe it is necessary to provide the standard of care that we aspire to in Cheshire East. Cheshire East Council is planning to freeze Council Tax for the next TWO years. The local authority is the first in the country to announce this landmark move. The announcement made today (February 26) by Council Leader Councillor Michael Jones would mean no increase for six consecutive years. The authority today voted to freeze Council Tax for the fifth year running for 2015/16 – while increasing spending on services for vulnerable adults and boosting investment on roads and infrastructure. Cllr Jones also revealed the Council’s intention not to increase Council Tax in 2016/17. The announcement comes despite the continued reductions in government grants and increasing cost pressures on councils. Cheshire East Council Leader Councillor Michael Jones said: “This is the best budget in the North West and one of the strongest in the UK. “We don’t just want to freeze Council Tax for a fifth consecutive year next year – we want to keep people’s bills at their current level until 2017. “Cheshire East Council is demonstrating once again how local authorities can cut costs via innovative ways of working and a listening approach that puts residents first. “We care about the pounds, the pennies and the people. And I am delighted and proud that there will be no Council Tax increase for our residents for a fifth consecutive year, despite having our revenue support grant from central government cut by £9.66m or almost 20 per cent. The Cheshire East Band D Council Tax will remain unchanged at £1,216.34. The budget and financial reports voted through by full Council today show that medium-term finances are ‘in great shape’ and set to generate a small budget surplus, for a third year running, of about £0.5m in 2014/15. A balanced budget, low unemployment and increased levels of investment in major capital projects across Cheshire East confirm that the Council is working innovatively to deliver excellent services and great value for money for local taxpayers. Annual Council spending is more than £750m, with a proposed balanced net revenue budget of £264.7m for 2015/16. This includes meeting a target net saving of £7.7m without compromising key services. The Council has achieved permanent savings of £5m in management costs alone over the past two years. Under the Council’s medium-term financial strategy (2015-18) additional spending on key frontline services is also earmarked – with £6.5m extra for highways improvements and £1m extra spending for adult social care. An ambitious capital programme also plans £0.5 billion of investment over three years – our biggest ever. With no new planned borrowing in 2015/16 and external debt being reduced by a further £8.5m, Cheshire East now has less debt than it did when it was created as a unitary authority in 2009. ● £2m from reducing the impact of inflation on the Council’s budget. A High Court judge has backed Cheshire East Council’s refusal of planning permission for the controversial Moorfields housing scheme in Willaston. Last August, a planning inspector granted consent for the proposal by Richborough Estates to build 146 houses on a green field site. However, the Council’s determination to have the decision overturned has now been successful, with costs for the High Court action awarded to Cheshire East. The judgement represents yet another victory for the Council in cases where it has strongly opposed ‘unsustainable development’ on green field sites. In four instances so far this year, where developers have challenged the Council through the planning appeals process, the Council has won its case for refusing permission. In her judgement, Mrs. Justice Lang said that for many years the Council’s local planning policies had sought to maintain the separate identities of Nantwich, Crewe and the settlements between them and to preserve areas of open countryside from encroachment. The Judge considered that green gap policy should not be set aside simply because the Council did not currently enjoy a five-year supply of housing land. 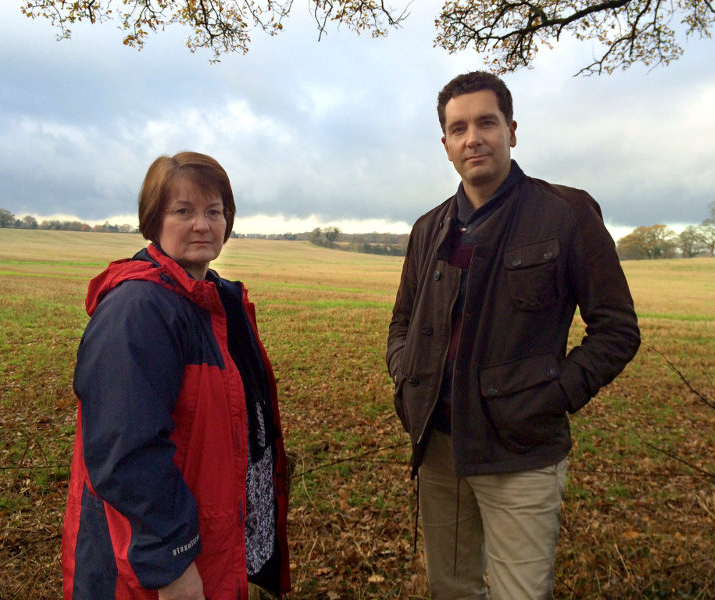 She said she doubted that the National Planning Policy Framework was intended to be used to routinely bypass local policies, which were protecting specific local features and landscapes. Quashing the planning inspector’s decision of August 2014, Mrs. Justice Lang said she agreed with the council that the green gap was ‘esigned to protect specific areas or features, such as gaps between settlements’ and was not merely a housing supply policy. Responding to the latest judgement, Council Leader Councillor Michael Jones said: “I hope our critics will take note of this. “This is yet another vindication of our policy to promote only sustainable development and to resist unsuitable, inappropriate development in the green gap. The High Court judgement comes just a month after the Secretary of State supported the Council’s refusal of a plan to build up to 880 homes at Gresty Oaks, Shavington, on the grounds that it was unsustainable in the green gap. Figures compiled by Cheshire East Council reveal that the net cost of the cancelled Lyme Green Waste Transfer Station project in Macclesfield is £262,000 when all potential and actual savings and costs are factored in. A full review has been carried out in response to questions from members of Council and criticism of the financial impact of the scheme in the press. The figures show a comparison between the actual costs of aborting the project and the estimated costs had the scheme progressed as initially planned. The information is drawn from the Council’s financial records and accounts and is supplemented by the Council’s assessment of the costs of making good the Lyme Green site for any future development. Taking into account the residual value of buildings, operational savings of £412,000 per year since 2013 and a saving of £390,000 in landfill gate fees and other associated costs, the actual net cost to the Council between November 2011 and March 2015 is £262,000. This also includes the costs of the independent (DIP) review and compensation payments to staff whose employment with the council was terminated. Site clearance and preparation costs of £292,000 would have been paid out in any event as would the £18,000 spent on professional fees in relation to any future sale. Since the introduction of the silver bin collection scheme, the council has increased the volume of recycled tonnage to 54 per cent, which is the fourth-highest performance rate across the whole of the North West. Council Leader Michael Jones said: “I am pleased that the residents of Cheshire East now have the true picture of the costs arising from this event. “It is important that we are fully apprised of the facts and I am satisfied that this presents a much more accurate account of how money was spent, how it was saved and how other factors came into play to mitigate the full financial impact of this episode. Cheshire East Council publicly apologised in 2011 for proceeding with preparation work for a waste transfer station at Lyme Green but the scheme had to be cancelled. The decision not to proceed, led to the Council reviewing its waste strategy. The decision to move to a council-owned company avoided outsourcing procurement costs that could be as much as £800,000. The Lyme Green site continues to operate as the main salt highways depot for the north of the Borough. Local community road safety – tell us your concerns! Cheshire East Council is to target resources to address local community concerns about road safety – as part of its commitment to putting ‘residents first’. To ensure this investment is targeted in the right areas, residents are being asked to provide the authority with feedback about their local priorities. The information gathered will be used to develop an initial local community road safety programme and will also be fed into the Council’s forward programme of speed limit reviews across the Borough. Cheshire East residents have ranked ‘improving road safety’ as one of their most important highway service priorities. Only ‘improving the conditions of the Borough’s roads’ and ‘tackling congestion’ are rated as higher priorities. The Council continues to invest in improving the condition of our extensive highways network – and its strategic approach has been effective in reversing deterioration. This does not mean the work is complete – as there is clearly more work to be done. However, the process being followed is working and will continue to be developed over the coming years. The Council has an ambitious road safety education programme, which recently won the Prince Michael International Road Safety Award for its partnership approach to accident prevention. The Council remains committed to continuing to drive forward road safety improvements to make our highways safer. Councillor David Topping, Cheshire East Council Cabinet member in charge of service commissioning, said: “We are a listening Council that’s determined to put residents first – so it is important that people tell us what work they would like to see prioritised to improve safety for our road users. If you have a particular road safety concern you would like to be addressed, please email rs.consultation@cheshireeast.gov.uk before March 16, 2015, ensuring the area of interest is clearly identified. High-quality professional theatre is on the way to Cheshire’s rural areas. Cheshire Rural Touring Arts (CRTA), which is supported by Cheshire East Council, has announced its programme for spring 2015. Claire Smith, of CRTA, said: “We are proud of our reputation for bringing very high quality professional performances to your doorstep at affordable prices. “We can only do this because of our willing throng of skilled volunteer promoters (170 last year), who choose the shows, and host companies and audiences alike in the heart of their communities. experience that is captured by rural touring. This season, which starts on March 5, includes a diverse range of performances. Musically, the Berlin cabaret scene will be represented by Orichalcum’s show ‘From Berlin, to Broadway’ and the beautiful lyrical voice of Canadian singer songwriter Ian Sherwood. ‘The Imperfect Pearl’ will offer an opportunity to experience a baroque musical drama – a new and unique rural touring experience. Theatre highlights come in the form of Cheshire-based Harmonettes – with their show ‘Dorothy’s War’, made for the First World War centenary and The Foundry Group’s retelling of the first ever non-stop transatlantic flight in ‘Those Magnificent Men’. From Canada, Theatre Newfoundland Labrador presents ‘With Cruel Times In Between’ and Melody A Johnson appears in ‘Miss Caledonia’. For families there is the fabulous and inventive ‘Land of the Dragon’, ‘Cake’ and ‘When Trolls Try to Eat Your Goldfish’. The Youth Live show this season is Jackie Hagan’s ‘Some People Have Too Many Legs’ and our Cutting Hedge show is Reckless Sleepers’ ‘The Last Supper’. RED NOSE DAY 2015 is set to offer more than just Red Noses this year. Bright red comedy glasses with hair raising eyebrows, as modelled by the fabulous Gok Wan are also coming to Crewe Specsavers. Visitors to the town’s Specsavers store in Market Street can follow in the footsteps of Gok Wan and make their faces funny for money with Specsavers’ official Red Nose Day glasses in small or large sizes, for just £3 with £1 donated to Comic Relief. Michael Elleray, store director of Specsavers Crewe, says: ‘We’re all set to make our faces funny for money in support of the great work that Comic Relief does and we’d love you to join us! Specsavers in Crewe has joined Specsavers stores nationwide to support Comic Relief to help poor and vulnerable people living tough lives both here in the UK and across Africa. Whether it’s at home, work or school, the public are being encouraged to make their faces funny for money this Red Nose Day, which takes place on Friday 13 March. From painting their faces to donning the Specsavers funny specs millions of people up and down the country will be making their faces funny and raising life changing cash. The money raised through Red Nose Day helps poor and vulnerable people living incredibly tough lives both here in the UK and across Africa. Crewe's premier music venue is set for a big double-header of local music this weekend. Featuring Wrenbury's Vikki Brown, The Courtesans headline their second show at The Box as part of a UK tour on Friday, February 27. And they are backed by Crewe 6-piece Moving Moscow, who return to the Pedley Street venue for the first time since their raucous headline show there in September. Singer Dan Parry said: "We've got some new material to debut so we're all massively excited for this gig. "And it should be fun to play with The Courtesans as they're one of the more unique acts out there at the moment. They put on a great live show, with a twist. "And the local links both bands have make it even more interesting. I know we're excited to play in our hometown again." The Courtesans, a London-based all-female quartet, are following up a Valentine's night sell-out show at the Macbeth Club down in the capital. The band challenges the perception of women's role in music and society. A spokesman said: "Their first single 'Genius' outlines the complete body transformation many women now feel they have to go through just to be accepted and to, in some way, feel normal. "The Courtesans believe it is their right to express their sexuality on stage like many men in music have done for the past 50 years without being vilified, or their music dismissed, because of it." Classed by some music media as 'doom rock', The Courtesans' music is a dark mix of rock and electro. Moving Moscow are planning an EP for the summer and play their first Manchester headline show at Gulliver's in the Northern Quarter on Friday, March 27. Members of the community on the Sherborne Estate in Crewe have once again been recognised for their achievements in improving the quality of their urban environment. Local people of all ages and abilities have been actively involved in improving their neighbourhood by constructing raised planting beds, putting up hanging baskets and also growing their own fruit and vegetables. These efforts have been assisted by an initiative known as Grow in Crewe, a project supported by Crewe Town Council and delivered by Greenspaces South Cheshire CIC with funding support from the Big Lottery Awards for All Funding Programme. The project has seen participants engaging in weekly sessions at the Greenspaces ‘Grow Hub’ at the heart of the Sherborne Estate as well as sessions to improve some of the open spaces in with support from Sir William Stanier School Pupils. Local families have been learning new skills and gaining knowledge along the way with some now setting up and growing their own food in raised planters in their own back yards. The improvements to the environment and the neighbourhood as a whole have been recognised for the second time by the Royal Horticultural Society’s ‘It’s Your Neighbourhood’ awards and this year the community has been elevated to category of Level 4 – ‘Thriving’. Crewe Mayor, Pam Minshull said: This is a great achievement for the local community. During regular visits to the area, I have seen for myself the improvements that have been made and sampled some of the healthy, home grown fruit and vegetables. The teamwork and efforts by the residents and project partners is improving the quality of life of individuals and the quality of the neighbourhood as a whole. The community are now looking to take the project to the next level and have recently submitted a bid to the Health Lottery to seek funding to enable them to showcase their ideas and achievements at the RHS Tatton Show in 2016. Pictured: Crewe Mayor, Pam Minshull and local grower John McGinlay with the award from the RHS. Welcome to this, my 159th news bulletin. At a time of economic difficulty, when tough decisions have been made on public spending, there's little sympathy for those who don't make their full contribution. I believe we should welcome businesses to Britain with open arms and have the lowest business taxes of any major country in the world. Britain is moving to a system lower and more competitive taxes, but I believe people and businesses should pay those taxes, not aggressively avoid or evade them. Some companies are going to extraordinary lengths to avoid paying their taxes and that is not fair on Crewe and Nantwich taxpayers. That is why I'm pleased action has already been taken on tackling the aggressive tax avoidance of some large companies and individuals. The UK started the global work on changing international tax rules and is now leading the world in implementing these changes in Britain. In contrast, Ed Miliband and Ed Balls did nothing to deal with aggressive avoidance and evasion while in the Treasury during the last Labour government. We’ve turned that around because as Conservatives we believe in low taxes, but taxes that are actually paid – so the system works for hard-working taxpayers. Since April 2010 the Government has made 42 changes to tax law, closing loopholes and introducing major reforms to the UK tax system. These include the introduction of a General Anti-Abuse Rule and strengthening the Disclosure of Tax Avoidance Schemes regime. Furthermore, the Government has invested £1 billion over the last four years to tackle tax avoidance and evasion. HM Revenue and Customs (HMRC) as secured over £85 billion in through tax investigations since the beginning of this Parliament, and is committed to recouping an additional £5 billion by clamping down in the next Parliament. In addition, around 80 per cent of the avoidance cases heard in the courts are being won by HMRC, protecting £2.7 billion of tax in 2013/14. To make sure the largest companies contribute, the Government is introducing a 25 per cent tax on multinationals’ profits where they are artificially shifted out of the country. This behaviour isn't fair to firms in Crewe and Nantwich that pay their taxes, nor is it fair to local taxpayers, so I'm pleased the Government is introducing this Diverted Profits Tax from April to help put a stop to it. This will raise over £1 billion over the next five years. The introduction of new anti-avoidance measures will dramatically reduce the benefits from complex arrangements such as the so-called ‘double Irish’ used by some large multinationals, especially in the technology sector, and the new General Anti-Abuse Rule will deter the creation of abusive tax avoidance schemes. The Government is also consulting on new powers for HMRC to collect unpaid taxes from people owing more than £1,000. The G20 group of countries has agreed a new global mechanism that makes it easier for HMRC to identify UK taxpayers hiding assets or income offshore. Those avoiding tax can be fined twice the tax owed, with the possibility of criminal prosecution and a prison sentence. I wholeheartedly support the Government in this fair approach to tackling aggressive tax avoidance and evasion, and hope that this information is reassuring to my constituents who work hard, pay their tax and contribute fairly to the running of our great country. If you would like to read more about the action the Government has taken to tackle tax avoidance and evasion, this can be found online at www.gov.uk/government/policies/reducing-tax-evasion-and-avoidance. Met with local farmers in Oakhanger, through the National Farmers Union, to talk about their needs and concerns locally, as well as the national issues affecting the farming industry. Joined in with the St Thomas More Catholic High School darts evening, raising money for St Luke's Hospice with the only school darts club in Crewe and Nantwich. Addressed the public meeting of the Wychwood Community Group, who are campaigning against the development of 900 homes on Gorstyhill golf club. Enjoyed a game or two of table tennis with the youth group at St Marys Church in Wistaston, who also invited me to talk to them about my work as the local MP and Minister for Children and Families. Visited Shavington High School, to talk to pupils and staff about the latest developments at the school. Gone 'back to the floor' for a shift at Leighton Hospital, to get a better understanding of the challenges currently facing our busy local hospital. Held the latest of my regular constituency advice surgeries at my office in Crewe. Having met with local campaigners and visited the application site, I was pleased to support local people in objecting to the application for a solar farm in Hatherton. I am therefore delighted that this week, Cheshire East's councillors have listened and rejected this application. You can read the full report from the Crewe Chronicle. Photo: Shavington High School - I was really pleased to visit Shavington High School recently, to see the latest developments at the school, and to talk to the students and teachers. 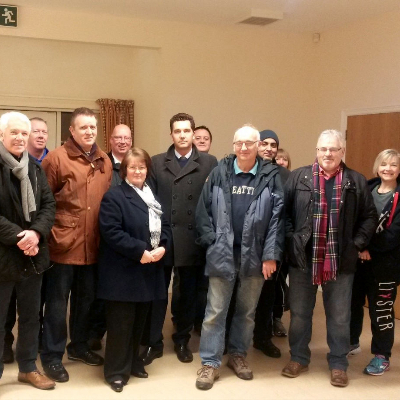 Crewe Chronicle: The action group has the backing of more than 1,200 residents and over 250 people were crammed inside the village hall to listen to updates from community members, as well as Crewe and Nantwich MP Edward Timpson. 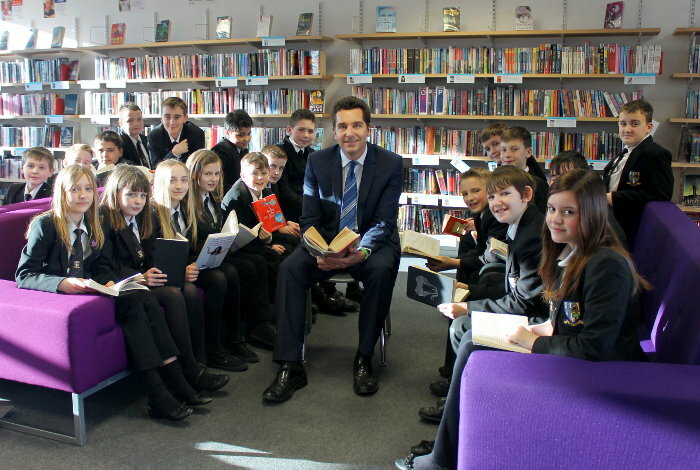 Nantwich News: Crewe & Nantwich MP Edward Timpson has welcomed new statistics which show a drop in crime rates in Cheshire. 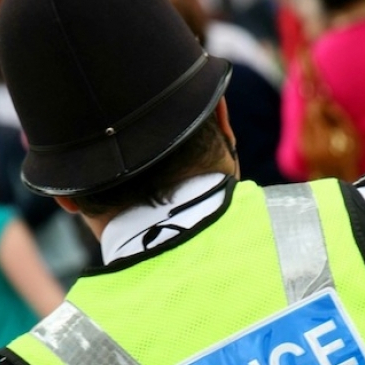 Latest figures from the independent Office for National Statistics (ONS) show since 2010 recorded crime in Cheshire has fallen by 19 per cent. MP Edward Timpson has backed the announcement of £15.13m additional government funding to support businesses and infrastructure in Crewe and Nantwich - helping to create jobs and support businesses. Cheshire East’s farming community, food growers and suppliers could soon benefit from a successful bid by Cheshire East Council to secure Food Enterprise Zone (FEZ) status, a government scheme aimed at boosting the economy in the countryside. Reaseheath College, Nantwich has been chosen to pilot the scheme in parallel with ten similar pathfinder projects throughout the UK. Cheshire East is one of 11 potential FEZs announced by Elizabeth Truss, Secretary of State for Environment, Food and Rural Affairs. Through a local development order, agricultural businesses and communities will be able to take advantage of relaxed planning regulations to encourage new enterprises and business development in the food growing, food supply and farming industry. The 272 hectares which form the Reaseheath Estate are at the heart of the Cheshire dairy farming industry and it is hoped that if the pilot scheme is successful, similar FEZs will be established in other parts of the borough. Reaseheath has a longstanding reputation for working alongside the agriculture industry, food growing and supply chain. The proposal is to create a unique and highly innovative integrated FEZ within which businesses can access support, skills, specialist technical resources and facilities to grow and thrive. Welcoming the announcement, Cheshire East Council Leader Michael Jones said: “This is more excellent news for this part of the Borough and great news for our local farmers and food growers. “I congratulate our team on their successful bid. “Food Enterprise Zones will help to unlock the potential of our local producers, food and agricultural businesses. “It will encourage enterprise and job creation across the board, generating opportunity and innovation. “The County of Cheshire and Cheshire farmers represent a great tradition and have been at the heart of the UK’s food production industry for centuries. The Reaseheath enterprise zone will encompass five sites. Schemes will include a new knowledge and development facility to demonstrate the use of drones and remote imaging to increase efficiency in crop production. There will be incubator space to support and develop new business within the FEZ. Other initiatives include the development of a nutrition centre to explore the impact of diet on exercise performance and well-being in the general population. The ambition and objective of the FEZ is to strengthen research, technical development, innovation and skills, to enable more collaborative working along the food supply chain and to support economic growth and healthy competition. Meredydd David, Principal of the college, said: “Reaseheath is delighted to be working with Cheshire East Council on securing Food Enterpise Zone status, as this will help the college to continue to support the agricultural, food manufacturing and rural businesses within the sub-region of the Local Enterprise Partnership and the surrounding counties. Cheshire East Council’s successful bid was spearheaded by Caroline Simpson, the authority’s newly appointed Executive Director of Economic Growth and Prosperity, in conjunction with the Cheshire and Warrington Local Enterprise Partnership. Grants of up to £50,000 will be made available for the initial process of establishing a Local Development Order, an essential step towards the creation of a FEZ. The UK’s food industry is worth more than £100 billion a year to the UK economy and FEZs will ensure that farmers and agricultural businesses in Cheshire East can grow more top quality food and develop innovative businesses that will help to boost the rural economy. The zones will empower local communities to influence the choice and location of businesses and give added protection to the countryside around their communities. Cheshire East Council’s waste collections operations have passed a major test – and saved taxpayers £650,000. Because of amendments to The Waste (England and Wales) Regulations 2011, councils have to collect recyclable waste paper, metal, plastic and glass separately, unless they can show that it is not technically, environmentally and economically practicable (TEEP). Currently, the Council collects the items co-mingled in the silver bin and they are separated later at a materials recovery facility. A thorough, independent examination of the Council’s waste collection operations found that changing the system could cost £650,000 more and would be likely to result in a reduction in the amount of recycled material collected. The report, which will go before the Council’s Cabinet on March 3, demonstrates that there is no necessity to collect the four materials separately and that it is not technically, environmentally and economically practicable to do so. Councillor Michael Jones, Leader of Cheshire East Council, said: “The report strongly endorses Cheshire East Council’s current, easy-to-use, recycling scheme and the high quality of the recycled materials. “In 2013/14, nine out of the top 10 authorities for recycling collected their waste using a co-mingled system like ours. The Cabinet is being asked to endorse the report, which robustly demonstrates the Council’s compliance with the regulations and should minimise the risk of legal challenge by organisations which are campaigning for waste to be sorted at the kerbside rather than collected in co-mingled bins. A young mum who fraudulently claimed nearly £4,000 in benefits after claiming her partner was only her landlord has been ordered by a court to repay the money – and do 240 hours’ unpaid community work. The court heard Laura Paulden, 27, received housing benefit and Council Tax benefit after claiming she had started maternity leave, lived alone with her children and was on a low income. In fact she was in relationship with her landlord, who was the father of her two children, and lived with him during the 17 months she fraudulently claimed benefits. The relationship was discovered during an investigation by Cheshire East Council benefits fraud team. Paulden, of Vincent, Street Crewe, pleaded guilty at South and East Cheshire Magistrates’ Court (on February 9, 2015) to one offence of dishonestly making a false application to unlawfully obtain housing benefit and Council Tax benefit between May 2011 and October 2012. The court heard Paulden received state benefits totalling £3,866 to which she was not entitled. Magistrates sitting in Crewe sentenced Paulden to a community order with a requirement to do 240 hours’ unpaid work. She was further ordered to repay the overpaid benefits and pay a victim surcharge of £60. Councillor Peter Raynes, Cheshire East Council Cabinet member in charge of finance, said: “Benefit fraud will not be tolerated by this authority. We are an enforcing Council and committed to ensuring such offenders are brought to justice. Cheshire Fire Authority has launched a new draft five year strategy, titled ‘Planning For A Safer Cheshire 2015-2020’, that sets out its plans up to 2020. The strategy clarifies some of the stark choices facing the Authority and outlines the approach and principles it will adopt to ensure it does not compromise on its commitment to protecting local communities, reducing risk and maintaining firefighters’ safety. We would like you to get involved and have your say to help shape the future of Cheshire Fire and Rescue Service. Cheshire Fire and Rescue Service will be promoting cooking safety tips throughout the month of February. Reduce the chance of having a fire in your home by throwing away your chip pan during National Chip Week (16th Feb - 23rd Feb). Please do not use traditional chip pans, because they can cause fatal fires. There are other options for cooking chips which will keep you and your family safer. Please opt for an alternative to chip pans. Many people across Cheshire will be celebrating Chinese New Year on 19th February 2015. Chinese New Year is the longest and most important celebration in the Chinese calendar. If you are celebrating, please celebrate safely and take care to avoid the risk of accidental fires. Cheshire Fire and Rescue Service is recruiting for on-call firefighters at the following fire stations: Alsager, Audlem, Birchwood, Bollington, Crewe, Ellesmere Port, Holmes Chapel, Knutsford, Macclesfield, Malpas, Middlewich, Nantwich, Northwich, Poynton, Runcorn, Sandbach, Stockton Heath, Tarporley, Wilmslow and Winsford. Could you be an on-call firefighter? If yes, you are welcome to come along to one of our taster events. The event will give potential applicants the opportunity to meet full-time and on-call crews, as well as training and recruitment officers, who will explain exactly how to follow the recruitment process. A world-class automotive supplier is planning to open a design and engineering centre in Cheshire East which could create up to 70 highly skilled jobs. HPL Prototypes (HPLP), a Coventry-based company which develops drivable and non-drivable prototypes for vehicle manufacturers, is in negotiations to acquire land for a new operation on the Redsands site in Wistaston, near Crewe. HPLP and Cheshire East Council have agreed terms on the sale of 5.5 acres of Redsands, the site of a former children’s centre, next to the junction of the A534 and the A51. Councillor Michael Jones, Leader of Cheshire East Council, said the Council has been working closely with the company to help it establish an operation in the area. He added: “We are delighted that HPLP has identified Cheshire East as the right location to expand. “They are impressed by the strong competitive advantages and track record of Cheshire East for its skilled workforce, existing business base, entrepreneurial spirit, quality of life and its national, regional and local infrastructure. “HPLP’s arrival would create a platform to attract further investment from the automotive supply chain. HPLP hopes to employ more than 70 skilled design engineers at the new operation and has indicated that it is keen to work with local educational providers, including the proposed university technical college in Crewe, on a training programme to develop the design engineers of the future. The sale of the land at Redsands is subject to planning permission and proof of funding. Cheshire East Council is gearing up to capitalise on the opportunities that will be created by the HS2 high-speed rail link. Economic assessments have concluded that up to 64,000 jobs could be created as businesses flock to take advantage of locating less than an hour away from London. A report to the Council’s Cabinet points out that the North West HS2 superhub station could create a ‘development corridor’ stretching from Northwich to Stoke-on-Trent and following the routes of the M6 and HS2. The report adds: “Northwich, Winsford, Middlewich, Congleton, Crewe, Sandbach, Alsager, Newcastle-under-Lyme and Stoke-on-Trent will all contribute towards employment sites and housing and benefit from new road and rail links providing regenerated town centres, greater prosperity and improved quality of life to residents. Councillor Michael Jones, Leader of Cheshire East Council, said: “Even though the Government has not yet formally decided on Crewe as the location for the North West HS2 superhub, the Council is working on a strategy to create a ‘High Growth City’ to make sure we secure the right level of investment. a local transit link connecting Crewe town centre to the superhub, if the current Crewe station is deemed unsuitable for HS2. Middlewich and the Potteries are being planned for 2020 onwards. But it adds that ‘a great deal of consideration needs to be given to how these projects are going to be delivered and funded’. The Council will work with the Department for Transport, Highways Agency, Local Enterprise Partnership and neighbouring authorities to devise a strategy for improving the sub-region’s infrastructure before HS2 is completed. Industry sectors expected to benefit most strongly from locating close to the superhub include advanced engineering, research and development, distribution and logistics, retail, leisure and back office functions for high-value professional services. A university technical college in Crewe, due to open in September 2016, will play a vital role in ensuring that the local workforce is capable of filling new vacancies in the engineering, design and manufacturing sectors. The report also calls on the Council to develop a local communication strategy to ensure that residents and local businesses understand and support the benefits that HS2 will bring. Eighty people pledged their support for a campaign against domestic violence at an event in Cheshire East yesterday (Monday, February 16). The ‘Be a Lover not a Fighter Campaign’ set up a stand to bring the message to shoppers at the Grosvenor Centre in Macclesfield. The campaign, launched on the eve of St Valentine’s Day, has engaged with more than 10,000 people throughout Cheshire and Merseyside via social media and the website www.lovernotfighter.org.uk. A similar event will be held at Crewe Market on Wednesday, February 25. A number of celebrities have already pledged their support by video to the campaign including award winning actress Crissy Rock from hit TV series Benidorm, Shameless actress Karen Bryson and singer Marcus Collins. Dr Heather Grimbaldeston, Director of Public Health for Cheshire East, said: “Even in the 21st century, domestic abuse is a taboo subject. This campaign aims to breakdown those boundaries and stop domestic abuse being a hidden issue in communities, supporting other locally focused work on domestic abuse in Cheshire East. “We are already working closely with a number of partners from community safety, specialist services and Police on the issue of domestic abuse through Cheshire East Domestic Abuse Partnership. Councillor Janet Clowes, Cheshire East Council’s cabinet member for care and health in the community, said: “More needs to be known about the types of domestic abuse out there and how people can get help by contacting the local Domestic Abuse Hub on 0300 123 5101. Detective Superintendent Nigel Wenham, Public Protection Lead for Cheshire Police said: "There is a call to police every 30 seconds across the UK regarding a domestic abuse incident - and these are just the ones we know about. “Over 4,500 Domestic Abuse Incidents were reported across Cheshire in 2013/14. We welcome this campaign to encourage people to talk about what is hidden abuse and we hope that it will lead to more people reporting domestic abuse and see those behind it held responsible"
For more information about the campaign, where the engagement events are being held or to find out how you can pledge your support go to www.lovernotfighter.org.uk. Three leading members of Cheshire East Council have been nominated for national local government awards. Councillor Michael Jones, Leader of the Council, is in the running for the Leader of the Year prize in the 2015 C’llr Achievement Awards. Councillor Don Stockton, Cabinet member in charge of housing and jobs, is a contender in the Neighbourhood Planner of the Year category. And Councillor Rachel Bailey, Cabinet member in charge of safeguarding children and adults, is on the shortlist for the Partnership Achievement of the Year award. The C’llr Awards are organised by the Local Government Information Unit, a think tank which publishes C’llr magazine. It is backed by CCLA, a fund manager for charities, faith organisations, and local authorities. The aim of the awards is to ‘honour the hard work of councillors from across the country that often goes unrecognised’. Councillor Jones said: “Being in politics is not about personal awards, it’s about achieving things for residents. “The real reward for me is to serve the people of Cheshire East by bringing them more jobs, better education and longer, healthier lives in the North West’s best place to live. The winners will be announced at an awards ceremony in March. The BioHub Incubator at Alderley Park has secured £1.1m funding through a Regional Growth Fund (RGF) round 6 award, it was announced today. The funding will help to reconfigure space at Alderley Park to retain highly skilled talent in the region, attract new businesses to the BioHub and accommodate up to 100 new high-value jobs. The BioHub is the on-site bioscience incubator that enables start-ups and early-stage bioscience companies to use the facilities and resources available at Alderley Park. The 400-acre, former AstraZeneca research and development base was acquired by Manchester Science Partnerships (MSP) last year and plans are progressing for the growth and diversification of the site as a multi-occupier community of collaborative bioscience innovators. Dr Chris Doherty, site director at Alderley Park for Manchester Science Partnerships, said: “Securing RGF support is a fantastic 'shot in the arm' for the BioHub at Alderley Park and is another significant vote of confidence from the Department for Business Innovation and Skills (BIS) who share our vision and strategy for growth at the Park. The development plans for Alderley Park are currently subject to a six-week public consultation period as part of Cheshire East’s strategic development framework plan. Cheshire East Council Leader, Councillor Michael Jones, said: “We are delighted to welcome this investment by the government because a viable future for Alderley Park is essential for the strength and growth of the life sciences industry in the North West as a whole. “Alongside AstraZeneca and Manchester Science Partnerships, Cheshire East Council has committed to invest £5m in a new Alderley Park Investment Fund which will fund the development of established companies on the site. Glenn Crocker, chief executive officer of BioCity, said: “This is an exciting time for the BioCity group across all of our sites, following swiftly on from the creation of the new incubation fund, which BioCity will manage. The Cat Community Radio Station held a launch party at Harrisons Cafe Bar in Nantwich on Wednesday 11th February 2015. The party was to celebrate the Station’s FM launch this Saturday 14th February (Valentine's Day). The Cat will be the first dedicated FM radio station in Crewe and Nantwich and it will broadcast on FM frequency 107.9. Cheshire East Council’s Cabinet is ‘in great shape’ financially and set to freeze Council Tax for a fifth year running. Financial reports voted through by Cabinet today (Wednesday, February 11) show that medium-term finances are well under control and set to generate a small budget surplus by year end. A balanced budget, low unemployment and continued high levels of investment across the Borough, confirm that the Council is working smarter to deliver the best for taxpayers. Government grants have reduced substantially since 2009, leaving many local authorities with much-publicised ‘black holes’ in their accounts. Councils have also taken on more responsibilities, such as public health and Council Tax support. But Cheshire East Council has responded robustly and swiftly – changing its operating model to provide a new and innovative approach to service delivery and operating more efficiently. An ambitious capital programme also plans £0.5 billion of investment over three years. Councillor Peter Raynes, Cabinet member in charge of finance, said: “Our performance in the third quarter of 2014/2015 shows we are once again well in control of our budgets. “We are forecasting a slight under-spend (£0.2m), as we achieved in the past two years, and for 2015/16 will meet our target of saving £7.7m without compromising key services. The Council has achieved permanent savings of £5m in management costs alone over the past two years. “Our three-quarter-year review demonstrates that the overall financial health, performance, resilience and value for money at Cheshire East Council are strong, despite taking £50m out of our costs base from 2011/12 and freezing Council Tax for the fourth consecutive year. We also propose to freeze Council Tax for a fifth year. “Savings have been consistently achieved through efficiencies, removing management costs, removing duplication and a planned programme of asset disposals – in short, working smarter with the resources we have. Cheshire East has again been recognised as the ‘Best Place to Live’ in the North West. Reports show Cheshire East Council provides more than 500 services, supporting more than 370,000 residents, and more than 17,500 businesses. Annual Council spending is more than £750m, with a proposed balanced net budget of £264.7m for 2015/16. The Council has spent the last three years re-shaping, following an overhaul of its management structure, and is now a commissioning council, which has seen the launch of a raft of new arms-length alternative service delivery companies (ASDVs) and a new permanent management team. This new way of working is designed to provide the benefits of a more commercial approach to services while ensuring that profits and accountability are maintained for the good of the people. Sensible investment has delivered a series of successes over the past twelve months proving Cheshire East can deliver results from a leaner budget. ● Grants contributed towards more than £3.5m of community-driven schemes. On top of this, Cheshire East’s fostering and adoption services have won national recognition. Leader of the Council Councillor Michael Jones welcomed the reports as ‘great news’ and said: “This shows that Cheshire East really is in great shape for the future to continue to deliver for our residents. “Local government is going through a period of unprecedented change and financial challenge. Cheshire East’s response continues to be based on innovation and creativity. “We will be relentless in the pursuit of greater efficiency and productivity and minimising bureaucracy to enable the Council to deliver a high level of sustainable, quality services for residents. “We are a ‘residents first’ Council and our approach to finance and formulating a budget underlines that commitment. The decision of Cheshire Fire Authority to award itself an increase in its allowances, while increasing its precept by 1.99 per cent, drew criticism from Council leaders. A stretch of Nantwich Road by Crewe railway station will be closed during half term (next week) to allow Scottish Power Energy Networks to carry out essential works. The work is necessary to divert some electricity cables under the Crewe Arms roundabout, which are currently in a very poor condition. Traffic moving along Nantwich Road, out of Crewe, towards the roundabout, will be diverted for the full five days. Vehicles heading towards Nantwich, from the Crewe Arms roundabout, will be diverted overnight from 7pm until 6am for the same period. Diversions are along Mill Street, Edleston Road, Vernon Way, Earle Street and Macon Way. There is a separate diversion for heavy goods vehicles, due to the low bridges on Gresty Road and Mill Street, which will be clearly marked. Taxis and emergency vehicles will still be able to access the railway station. The Council requested the work take place during half term to keep disruption to a minimum. Virgin Trains (Crewe Rail Station), Tesco Express, Crewe Arms Hotel, Crewe Fire Station and the businesses directly affected by the closure have been contacted about the work. Cheshire East Council is winning the battle against potholes thanks to a proactive repair programme backed by major investment. Reports or complaints about potholes and the need for repairs have fallen by 83 per cent to 2,849 over the past two years – down from 17,241 in 2012/13. Many of these reports have been actively encouraged by the Council’s ‘Tell Dave’ initiative, where members of the public are being asked to alert us about roads in need of repair. Over the past two years, the Council has repaired more than 100,000 potholes and other defects and has resurfaced more than 400km of road. As a result of the repair programme, the number of liability claims against the Council has dropped to 244 this year, from 1,252 in 2012/13. Compensation totalling £558,245 was paid out to claimants in 2012 but for claims lodged in 2014 only £2,308 has been paid out so far – a drop of 99.5 per cent. This sharp fall in the amount paid out is a clear indication that the Council has been successful in improving the condition of the Borough’s roads. Our investment has seen a big drop in the proportion of the road network that requires repair. The percentage of ‘A’ roads needing attention has dropped to three per cent from six per cent over the past three years and the figure for ‘B’ and ‘C’ roads has fallen to five per cent from 11 per cent. Councillor David Topping, Cheshire East’s Cabinet member for service commissioning, said: “We are up to date with the safety-related defects, those which are greater than 50mm. “That doesn’t mean there are not potholes on the network but we don’t have backlogs from former years. We are completely open about these figures and don’t hide anything from the public. The safety of our residents and visitors is paramount. “We are continuing to monitor our roads constantly through an inspection regime which identifies current and future problems. We also value comments and reports from the public. “As we know, weather plays havoc with our roads, having spread more than 1,000 tonnes of salt across the network in the past week we expect the number of defects to rise. “Repair techniques have changed over time. We now use velocity patching machines that can deal with a high volume of repairs quickly. We also have higher quality materials that perform better in cold conditions or bad weather. “In December, Transport Secretary Patrick McLoughlin announced that Cheshire East would receive £10.5m for highways improvements and potholes in the financial year 2015/16. The Mercian Regiment will be parading in Crewe on Tuesday, February 17, before receiving the Freedom of the Town on Memorial Square. To enable the regiment to travel safely around the town and ensure public safety, some roads will be closed during the afternoon. Hill Street and the Lyceum Car Park will be closed with barriers from 12pm – vehicles will be able to leave the area but access will be for emergencies only. The disabled bays on Prince Albert Street opposite the Library will be closed all day. The 'XCELL' street dance crew - Alex Worsley, Ben Worsley, Sam Davison, Zach McCullough, Connie Vickers, Emily Croshaw, Beth Lea and Caitlin Randell - won in their Under 18's category. Members of XCELL also took home the honours in solo competitions with brothers Alex Worsley and Ben Worsley winning their relevant age categories and Sam Davison coming 3rd in his age category. Participants are judged on factors including timing, technique and difficulty of routine. They are all members of Miss Caroline’s School of Dance and train twice a week at St Mark's Church in Wistaston. Research by Willaston and Rope Ward Councillor Brian Silvester has revealed a big drop in Cheshire East voters. He said “The number of electors has dropped by a huge 20,851 since 2011, despite a rise in population in Cheshire East. (See below) Nationwide nearly a million voters have been lost from the electoral registers.The reason for this is probably the introduction of individual registration. (See below) Everyone is responsible for registering themselves now. Under the old system the 'head of every household' could register everyone who lived at their address. Also you need to provide a few more details to register - including your national insurance number and date of birth. This makes the electoral register more secure and less prone to electoral fraud. He said, “Residents pay their Council Tax and in return they expect basic services to be provided.Filling in potholes comes into that category. Sadly CEC are failing badly when it comes to potholes. Over the last two years CEC paid out an average of £1,358 a WEEK to motorists who had their car damaged when they drove across a gaping pothole. In total, over the last two years, CEC have paid out £141,233 to 323 drivers, an average of £437 per claim.A further 1,136 drivers drivers were unsuccessful with their claims. It is not just the cost of compensation for damage to cars, it is also the accidents and injuries and sometimes deaths that occur because of the potholes. Rather than pay out hundreds of thousands in compensation it would be far better if that money was spent on repairing potholes so that compensation could not be claimed. The self styled Mr. Pothole http://www.mr-pothole.co.uk/news/entry/what-are-the-facts-about-uk-s-potholes has stated that Cheshire East is one of the worst in the country when it come to providing information about potholes. Information that should be readily available has to be obtained by freedom of information requests. Odd Rode Ward Councillor Andy Barratt said, “More needs to be done to advertise and teach people that they too can report highway faults ,potholes, lighting etc. And once a member of public reports a fault, to either fix it asap or explain to the member of public why its not been sorted, rather than ignoring their report. Willaston is being overwhelmed with planning application after planning application for yet more houses. I urge all Willaston residents to write in or e-mail to object to the latest applications. The second application is for 175 houses to the south of Park Road Application number 14/5824N The deadline for objections is noon on the 26/2/15. Cheshire East secondary schools have chalked up yet more achievements in national league tables. Latest Key Stage 4 performance tables show that 61.5 per cent of Cheshire East Year 11 pupils achieved the national benchmark of five or more A*-C grades, including English and maths, at GCSE. This is well above the national average figure of 56.8 per cent. The latest news follows Cheshire East schools recently being rated the third best in England, according to a ranking based on performance in Ofsted inspections. Cheshire East’s Key Stage 4 figure places it top (1st) in the group of 11 comparable local authorities, with a similar socio-economic make-up, and ranks the authority in the top 25 (at number 25) out of a total of 150 local education authorities. For rates of progress in core subjects, our performance was again very strong with nearly three-quarters of all learners achieving expected progress in English (74.3 per cent) and 67 per cent in maths*. The local authority has significantly improved its rankings this year against all other authorities for these two measures, which reflects the intensive work within all schools to maximise achievement by all learners. Councillor Rachel Bailey, Cheshire East’s Cabinet member for safeguarding children and adults, said: “To have 61.5 per cent of our pupils achieving five GCSEs at grade A* to C and to see further notable improvements in progress in maths and English are fantastic achievements. “This is yet more good news following the recent report that rated Cheshire East as the third best area in the country for schools and further proof of the great work being done here. “These figures reflect the efforts that have been made in our schools to deliver high standards of teaching to help pupils achieve their potential. “I would like to thank the schools, teachers, governors, council officers and, of course, our pupils, for all their hard work. In English, Cheshire East shot up the national rankings from being placed 104 last year to 63rd this year – and from ninth to second place among our 11 comparator authorities. In maths, Cheshire East rose to 71st nationally (84th last year) and to seventh (ninth) among our comparators. Cheshire East’s schools are the third best in England, according to a ranking based on performance in Ofsted inspections. Out of 141 primary and secondary schools in the borough which have been inspected under the education watchdog’s 2012 framework, 93.6 per cent were rated good or outstanding. The only local authorities ranked higher in the whole of England were the City of London, where Ofsted inspected just one school, and the London Borough of Wandsworth, where 65 schools were rated. Cheshire East Council’s draft development framework for Alderley Park will go under the microscope at a public gathering next week. The event, part of a six-week consultation exercise, will be held at Nether Alderley Parish Hall on Wednesday, February 11, between 2pm and 7.30pm. Anyone with an interest in the development of the site is welcome to attend. Rowena Burns, chief executive officer of Manchester Science Partnerships (MSP) said: "MSP's vision is to retain Alderley Park as a world-class life science facility. “This draft development framework outlines the parameters within which we need to work, to deliver this vision of a home and sustainable campus for high-value, knowledge intensive businesses. The draft framework will set the guidance for future development on the site and will be a material planning consideration in the determination of any future planning application submitted. Councillor Michael Jones, Leader of Cheshire East Council, said: “We hope that, with the right strategic planning framework in place, we can create a unique, self-sustaining hub for the life science sector at Alderley Park. Anyone interested can view the draft framework at www.cheshireeast.gov.uk. Copies will also be available to view in Cheshire East libraries and at council offices in Macclesfield, Crewe and Sandbach. or by letter to Jo Wise, CEC Spatial Planning Team, c/o Municipal Buildings, Earle Street, Crewe CW1 2BJ. A crackdown by Cheshire East Council has made the Borough’s sunbeds much safer for users. In an initial round of inspections, only 32 out of 90 sunbeds (36 per cent) came up to European safety standards. But when officers repeated the exercise, the number of sunbeds which passed the tests rose to 78 (87 per cent). Officers from the Council’s regulatory services and health team visited 34 sunbed businesses between June and December 2014. They used a solarmeter to test whether each sunbed was within the safe limit of 0.3 Watts of ultraviolet (UV) radiation per square metre (W/sq m). The European safety standard was introduced because of increasing rates of skin cancer, mainly caused by exposure to UV radiation. Businesses whose sunbeds emitted 0.6 W/sq m or more were ordered to switch them off until they had been re-tested and found to comply with the standard. Those which committed less serious breaches were asked to take corrective action as soon as possible and warned that they would be inspected again. The salon owners were warned that they could face enforcement action or be ‘named and shamed’ if they did not comply with the standards very soon. Two businesses failed a test purchasing exercise by offering sunbed sessions to 15-year-olds, when the law says that users must be 18 or over. One of the businesses has since removed its sunbeds and the other has implemented a ‘Challenge 25’ policy. Councillor Les Gilbert, Cheshire East’s Cabinet member for localism and enforcement, said: “This is a very worthwhile project which has given sunbed users greater protection from a known cancer risk. “The cost was very low – a one-off £200 for new equipment plus officer time and mileage expenses – but it has resulted in a big improvement in safety standards.